The SECO Prism Assembly 6400-10 is unique with its 3 offset positions. Its polycarbonate tilting holder can be adjusted to nodal -40 millimeter offset setting or to the common 0 millimeter and -30 millimeter offset positions. 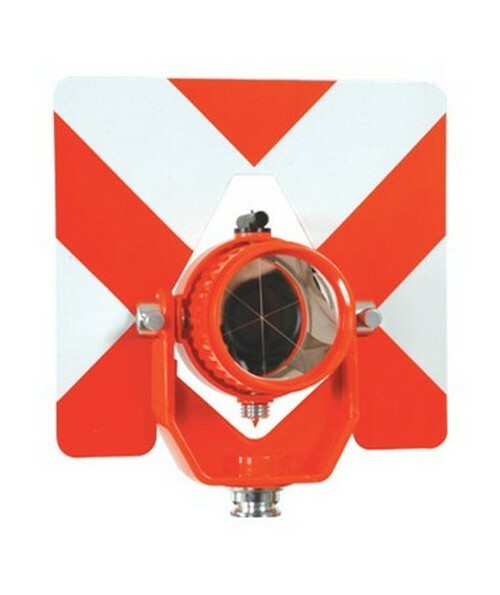 Nodal offset position is usually utilized when measuring short distances and can greatly eliminate errors while pointing the prism to the instrument. Its silver-coated 2 2/5 inches prism has close to 5-arc second accuracy and comes with a sighting collimator. The target is reversible and comes in black-white and orange-white. This survey accessory comes with a 5/8 inch - 11 thread and a 1 year warranty.